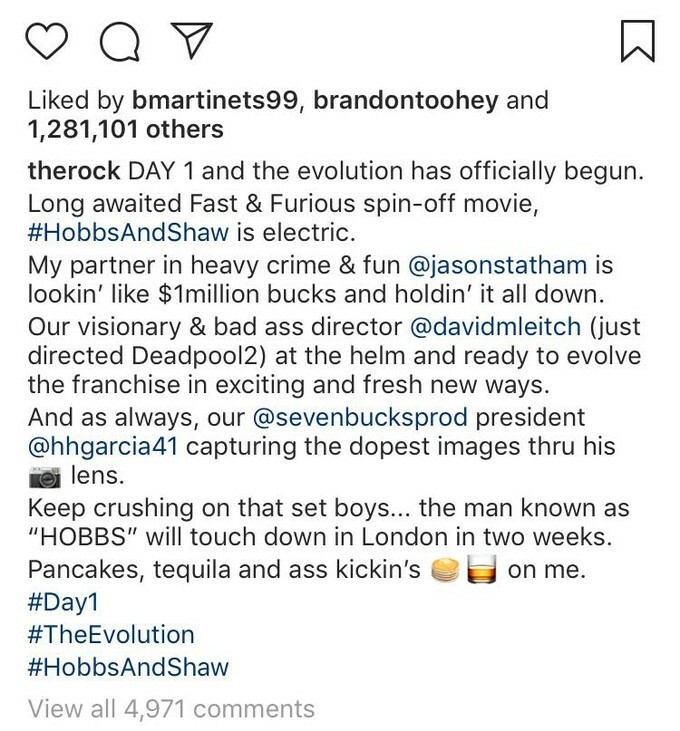 David Leitch's "Hobbs and Shaw" Fast & Furious Spin-Off 'The Rock' Leaks a Peek of Statham and Leitch on set! 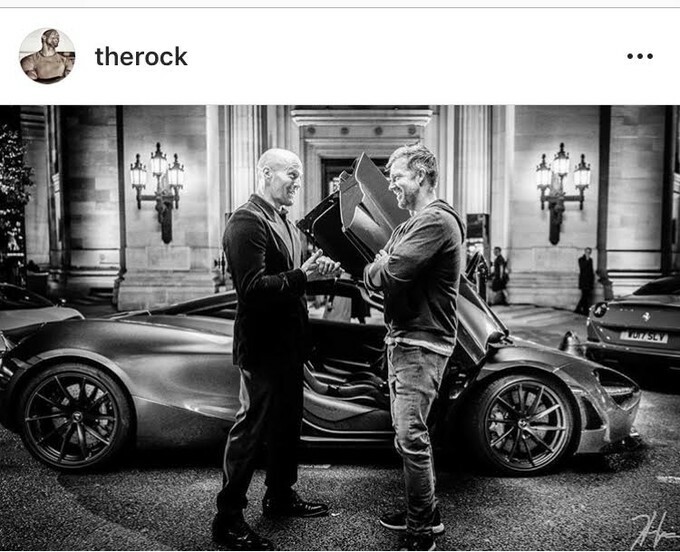 Today "The Rock" Dwayne Johnson posted a picture on Instagram of stunt savant/director David Leitch ("Deadpool 2" and "Atomic Blonde") and actor Jason Statham ("Lock, Stock, and Two Smoking Barrels," "Fast & Furious 6," "The Transporter" and "The Expendables") on the set of "Hobbs and Shaw" to new spin-off film adding to "The Fast and The Furious" franchise. Joining Johnson and Statham on the film is Idris Elba ("Beasts of all Nations," "THOR Ragnorak," "Star Trek Beyond," and "Pacific Rim") and Vanessa Kirby ("The Crown" and "Mission Impossible Fallout"). Here is what "The Rock" is currently cooking on Instagram. So what do all of you furious fans think? I fracking loved "Atomic Blonde" and "Deadpool 2," and I am eager to see where David Leitch will take the film. "Hobbs and Shaw" is planned to hit theaters on August 2nd, 2019.